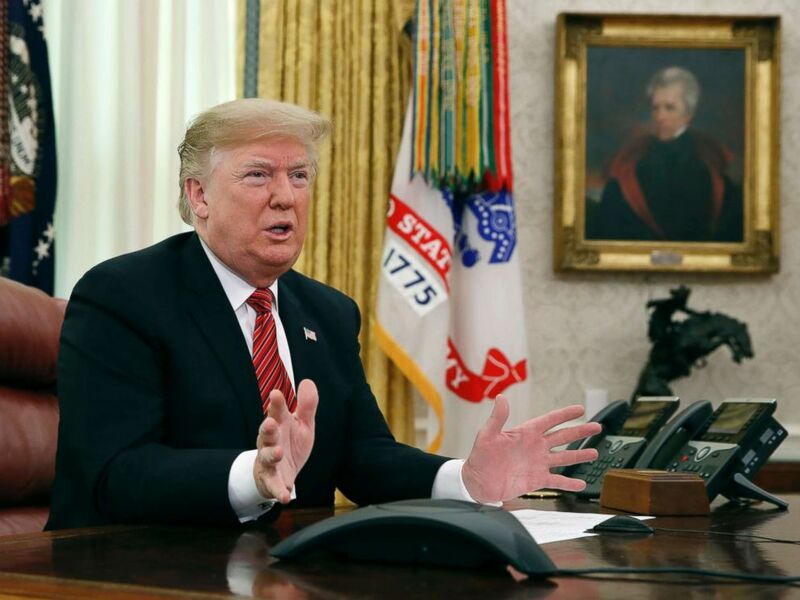 "Many of those workers have said to me and communicated, ‘stay out until you get the funding for the wall,’" he said, when asked for his message to the hundreds of thousands of federal workers either furloughed or working without pay. 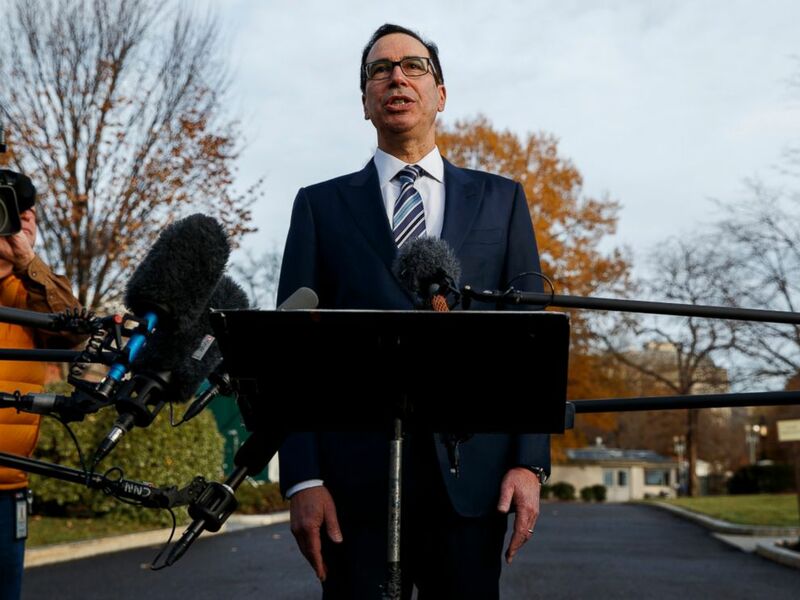 In this Dec. 3, 2018, file photo, Treasury Secretary Steve Mnuchin talks with reporters at the White House in Washington. Trump says he has confidence in Mnuchin, calling him a "very talented guy" and a "very smart person." "I can't tell you when the government is going to be open," he said. "It's not going to be open until we have a wall, a fence, whatever they would like to call it." It’s a disgrace what’s happening in this country. But other than that, I wish everybody a merry Christmas. Despite the Christmas Eve plunge on Wall Street, Trump said he has confidence in Treasury Secretary Steven Mnuchin on Tuesday, calling him "very talented." But complained that the Federal Reserve has raised interest rates, saying "we'll see" when asked if he has confidence in Federal Reserve Chairman Jerome Powell. “They are raising interest rates too fast, that’s my opinion," he said. “The fact is that the economy is doing so well that they raised interest rates and that’s a form of safety." Asked what he would do if House Democrats send him a funding bill without wall funding in January, Trump said that his political opponents would be engaging in "presidential harassment" when they take over the House of Representatives, an apparent reference to Democrats' plans to conduct oversight of the Trump administration and investigate his family business and finances. President Donald Trump greets members of the five branches of the military by video conference on Christmas Day, Dec. 25, 2018, in the Oval Office of the White House. "There's been no collusion -- two years," he said, in an apparent reference to the special counsel investigation. "You're talking about millions and millions of wasted money." Trump also groused that Democrats voted for border security in the past but claimed they are now against it now that he supports it, likening it to their criticism of former FBI Director James Comey before he fired him.